The property is a 70-story residential tower in Chicago’s Streeterville neighborhood—and the city’s first high-rise designed by Robert A.M. Stern Architects. 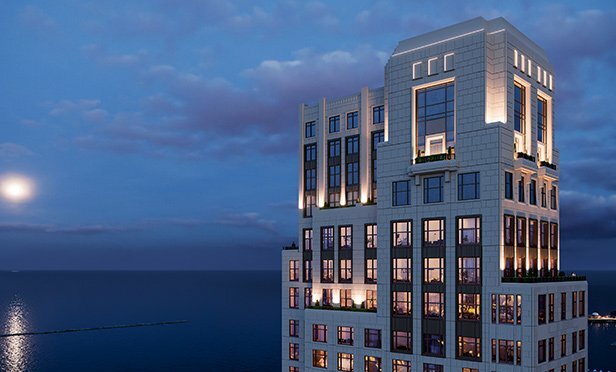 CHICAGO, IL—Related Midwest, the Chicago office of Related Companies, has opened the condominiums at One Bennett Park, the developer’s 70-story residential tower in Chicago’s Streeterville neighborhood—and the city’s first high-rise designed by Robert A.M. Stern Architects. The local architect of record for the tower is GREC Architects. Related Midwest also unveiled One Bennett Park’s owner-exclusive amenities and the completed condominium lobby, designed by RAMSA, which showcases works by renowned artists Tomás Saraceno and Pae White.